It's no secret that I love an at-home face peel, but the obsession doesn't stop there. Recently, as the sun has started shining, I've been using body peels. They work in much the same way as a face peel— containing acids to gently but effectively nibble away at dry, dulling skin—as opposed to body scrubs, which can either be a sloppy disappointment or a bit of a mess. I'm obsessed because after having used various body peels, I've found that my skin is softer and has an evener tone and a healthy glow about it. I'm not one to fake-tan regularly (I reserve the spray-tan gun for weddings and holidays), but a regular body peel leaves my pale skin looking good enough that I'm happy to put it on modest display sans bronzer. Similar to their facial counterparts, body peels come in different guises. There are the leave-on lotions, oversize wipes or pads you use to slough your body with and then the liquids that you apply, wait and rinse. The lotions are the easiest to buy into, especially if you already use a body cream daily. The wipes and pads are the quickest and easiest, great for the time-poor or slightly lazy among us (it's okay; when it comes to body products, I'm happy to admit I'm very lazy). Lastly, there are the liquid peels that you apply using a large brush or your hand and then rinse. One caveat worth noting: If you're serious about body-peeling products, make sure you apply a sunscreen after, as they can make skin more sensitive to UV rays. 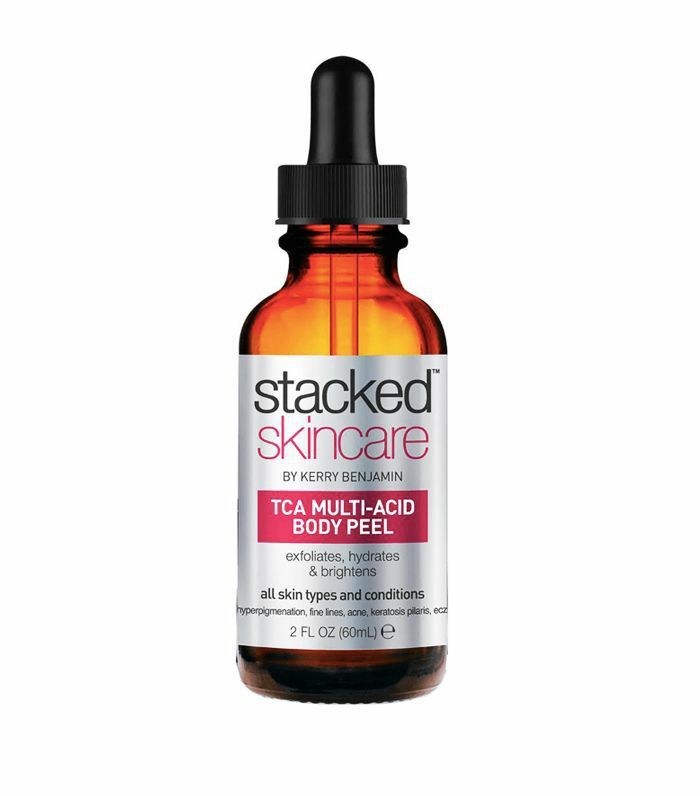 Keep scrolling for seven editor-approved body peels worth trying. Individual sachets of oversize wipes, you rub one all over your body before stepping into the shower. 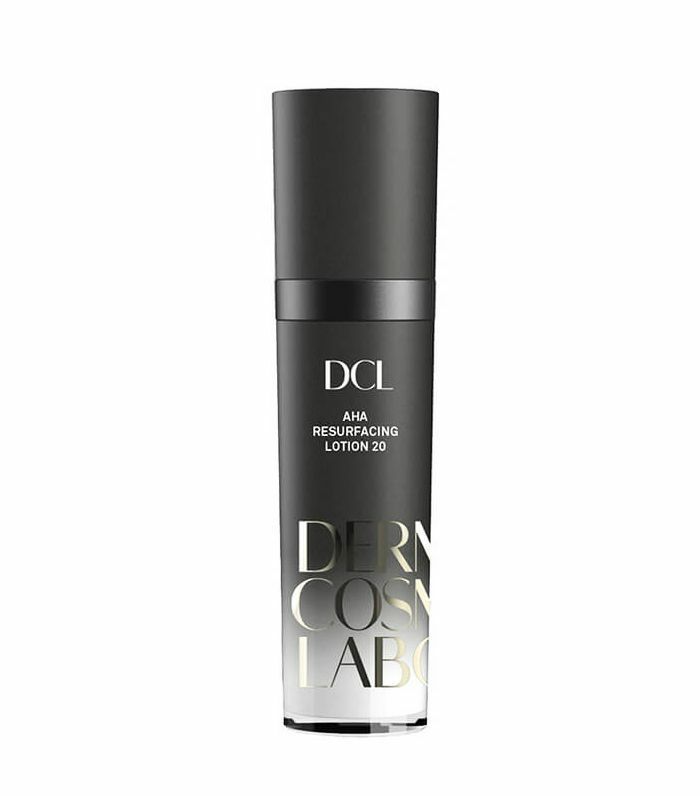 Fruit acids and botanical enzymes work in just three minutes to brighten and exfoliate the skin. I'm a little bit obsessed with these. 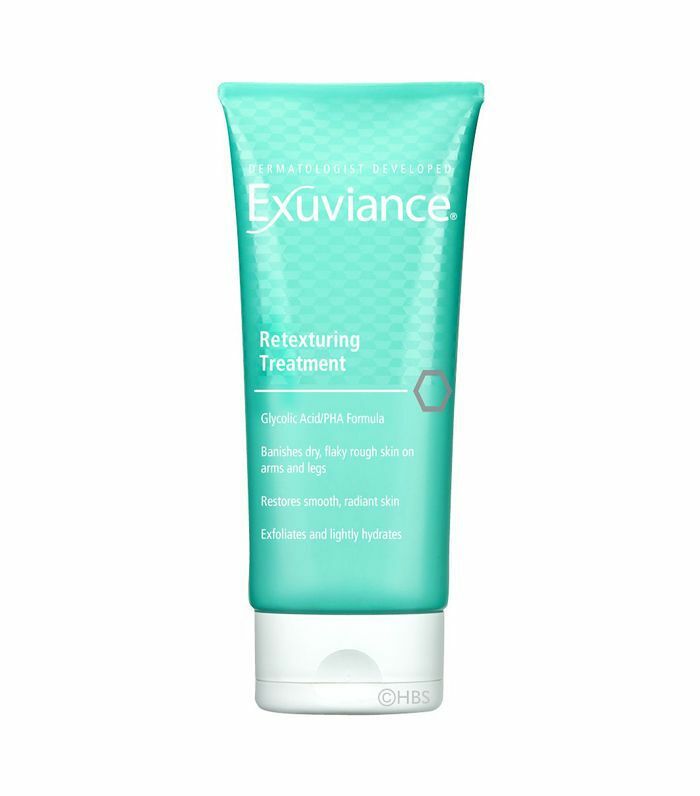 A bit of a cult classic, this body lotion boasting alpha-hydroxy acid was invented to target keratosis pilaris (otherwise known as chicken skin) on the arms. It unblocks pores (making it great for preventing ingrown hairs) and hydrates in one go. The first of its kind, this South Korean product is a natural, spray-on exfoliant. The peel dissolves the "glue" that binds dead cells to the skin's surface. Simply spritz on and, using your hand or a washcloth, gently exfoliate in a circular motion. You'll notice the dead skin rolling right off (yes it's sort of gross, but also quite satisfying). 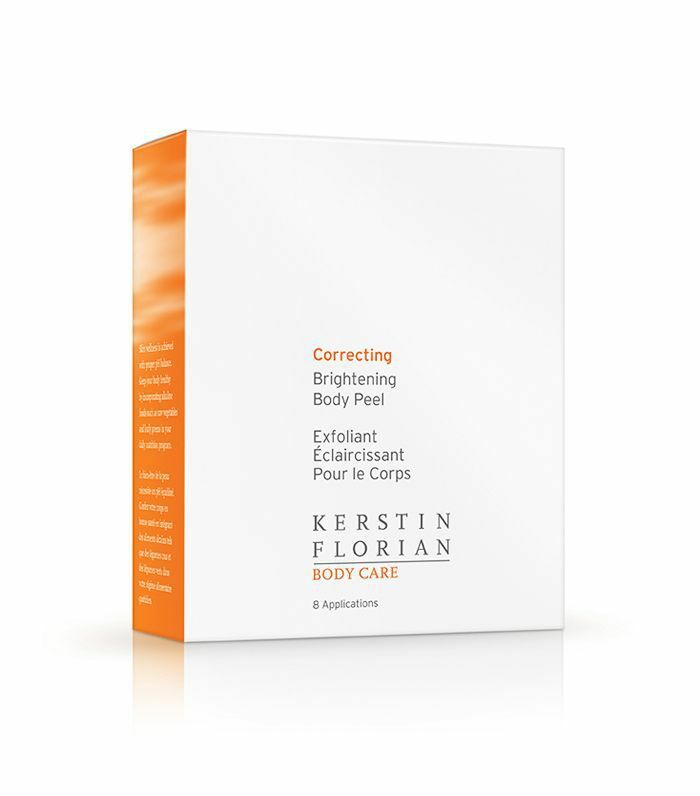 Exfoliating fruit acids are combined with soothing aloe vera and brightening milk thistle extract. Another winner. Light and fresh, this lotion contains a blend of 5% glycolic acid and 5% gluconolactone/lactobionic acid to leave your skin feeling velvety smooth. A lightweight serum, this is designed for the face, but I have it on good authority you can use it all over your body, too. A little bit of this glycolic acid–based product goes a long way, but use it on areas that are seriously dry (think elbows and heels) or apply to anywhere that is looking a little lacklustre. A favourite with Lindsey Metrus, the managing editor for Byrdie U.S., this peel makes for the perfect body acne treatment. The trio of acids—glycolic, lactic, trichloroacetic and salicylic acids—combine to target the acne bacteria, dissolve the sebum and tackle uneven skin tone. It even works to improve eczema flare-ups. A self-neutralising peel, you simply brush this on and go, no need to rinse it off. Effective and easy to use. With 10% AHA, this lotion tackles both skin texture and tone, smoothing the skin and fading dark spots. It also boosts your body's own collagen production to soften and plump the skin over time. Next up, the glow-giving at-home facial peel products you need in your bathroom cabinet.